Yesterday I wrote about the Angeles Beach Club, which I described as the best hotel in Angeles City. Today I will write about what is arguably the worst, the Kokomos Hotel and Restaurant. Kokomos is very centrally located in the middle of the Walking Street section of Fields Avenue, on the corner with the famous “blow row” Santos Street. 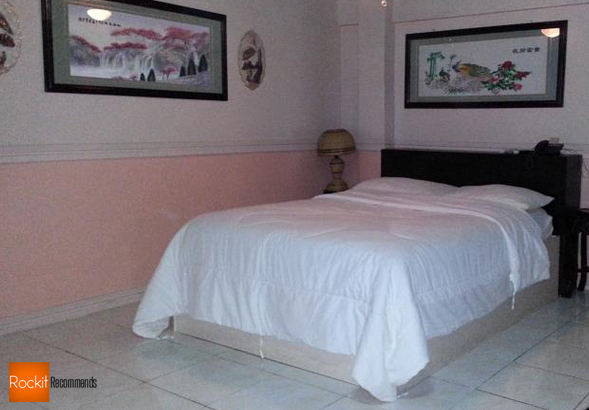 It has plenty of rooms and they all go for very reasonable rates. Sounds good so far, right? So what could possibly be wrong. In a word, everything. The staff is as uninterested in the customers at Kokomos as it is hard to find. One could wander into Kokomos and walk around for a half hour without ever being presented with as much as a “Can I help you?” If you do manage to navigate to the closet-sized office off to the side of the entrance you will be “greeted” by one or two women who look like they’d rather be anywhere else on earth and have attitudes to match. The level of indifference of the employees at Kokomos is surpassed only by their crawling pace of work, which could put the world’s slowest snail to shame quite easily. Expect any task to take a tremendous amount of time, whether that be checking in, having something in your room repaired (and if my experience is any indication, you will), checking out, or ordering food at the downstairs restaurant. As I wrote earlier, Kokomos does offer a variety of rooms. The problem is that most of them are pretty terrible. You can’t expect much for 30 or 40 US dollars a night, and this place is no exception (although in Thailand it is quite possible to get a decent room for such a price). The walls, ceilings and flooring are dirty. The doors are thin and cheap. The beds and linens are pretty old and worn as are the towels. The showers rely on in-shower electric heaters that frequently fail and the water that comes out smells like raw sewage. All of this is complimented by a constant stream of mosquitoes at no charge. There are a few better rooms at Kokomos that offer things like in-room stages and stripper poles and luxury bathtubs, but these too suffer from the tacky decorations and lack of maintenance. Besides, they cost only a little less than rooms at better hotels nearby, which means they don’t offer much in the way of value. What’s worse? All the rooms at Kokomos are inundated with extremely high levels of noise at all hours. There is a go go bar downstairs that’s open twenty four hours and the women who dance there have a habit of screaming and stomping their feet in unison which echoes throughout the entire facility every ten or twenty minutes. Considering where you are, this doesn’t seem all that bad at first, but it wears thinner that the walls at Kokomos after a few dozen 4 AM tramples wake you out of a dead sleep. The pool, which always appears cloudy to me, is also a good source of noise when you want it least. The rooms around it seem to be particularly subject to high levels of sound in my experience. You may wonder if there’s anything redeeming about Kokomos at all after this. The truth is, there are a few things. The location is tough to beat, smack dab in the middle of the action as it is. You also get coupons for several go go bars around town as well as a discount on meals at the restaurant (which serves edible food despite the poor attitudes of the servers) when you check in. As a sign that some kind of management at some point in the past did care a bit about the guests, there is a book in each room loaded with information about the Angeles City bar scene and tips on staying safe. The security guard out front is quite pleasant too. There is no real front desk to speak of, so you guests can bring as many friends in and out of their rooms as they want without having to speak with or talk to any staff. The “walk of shame” is hardly eliminated all together though, since the entrance is through the restaurant, which always has at least a few customers. That restaurant is a good place to sit if you like to people watch on the always interesting Fields Avenue, just make sure you don’t sit along the bar facing the road unless you wanted to be hounded by beggars and street vendors selling everything from sunglasses and t-shirts to erection aids. 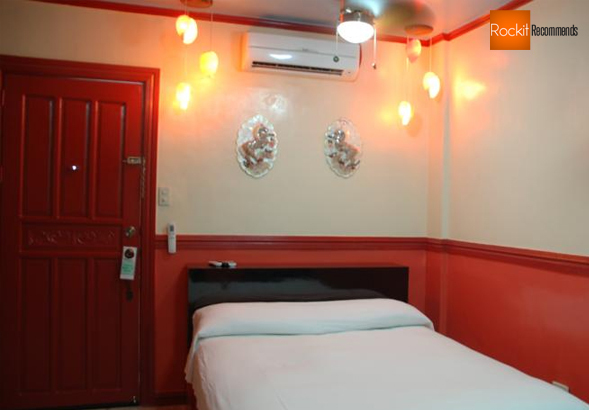 For an inexpensive and laid back place to crash or have a little fun, Kokomos is an option in Angeles City. It’s not one I’d recommend, but they do seem to have a constant stream of guests. I suspect the price has more to do with that than anything, though I could be wrong. Booking a room at Kokomos (or one its better competitors) online guarantees the best possible rate.